This is the latest in a series of posts where I gather together new brands or products I've tried (sometimes outside the normal bounds of sartorial menswear) and review them. They are all based on personal experience, and I try to focus on things that have a genuine point of difference. 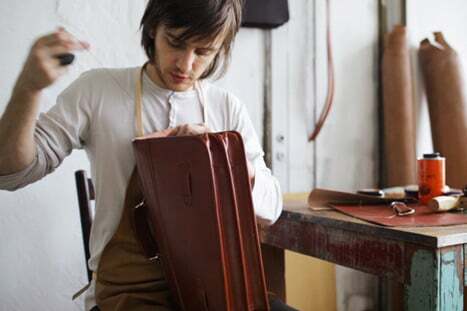 Lefren are a leather-goods maker based in St Petersburg, Russia. They are notable for offering hand-sewn products at a lower price than most in the market. A briefcase in bridle leather with a solid brass lock will set you back $610, compared to two or three times that from the likes of Dunhill, Swaine Adeney and so on. However, while the materials are decent and the work done by hand, everything else is rather basic. I tried the black portfolio ($290, shown above) and the inside has a raw strip of leather roughly sewn across the inside, with a flap hanging off it for pens. I also found the lock difficult to use, and the hand stitching itself is not the finest. If you’re in love with hand stitching and can’t afford anything more expensive, they might be worth a try. But at the same price I’d be more likely to go for a machine-sewn bag with better finishing. There has been an explosion of high-end sportswear in recent years, aimed at giving men an alternative to the likes of Nike and Adidas. They are usually united by stripped-back, simple styling, higher quality materials and high price tags. As a keen runner and cyclist, I’m always interested in trying these brands, both in terms of style and performance. Two in that area I tried recently are Castore and Ashmei. Castore is very cool. The style is all greys and blacks, with subtle branding and lots of laser cutting. The design is well thought-out, with angled pockets, headphone holes and extensive ventilation areas. 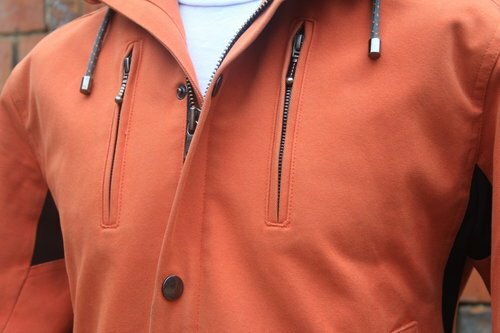 It is also well made, with only a few teething issues for me, such as cuffs on the Rix jacket (£245, below) that angle oddly downwards. However, I struggled rather with the very synthetic-feeling, very stretchy material. Not bad in the tops, and required to a certain extent in the weatherproof outerwear, but odd-feeling in the shorts for example. A related issue Castore shares with other brands of this type is that it is designed primarily for gym use, even leisure wear. So it prioritises versatility (good for rowing, running and weights) rather than sport-specific performance. 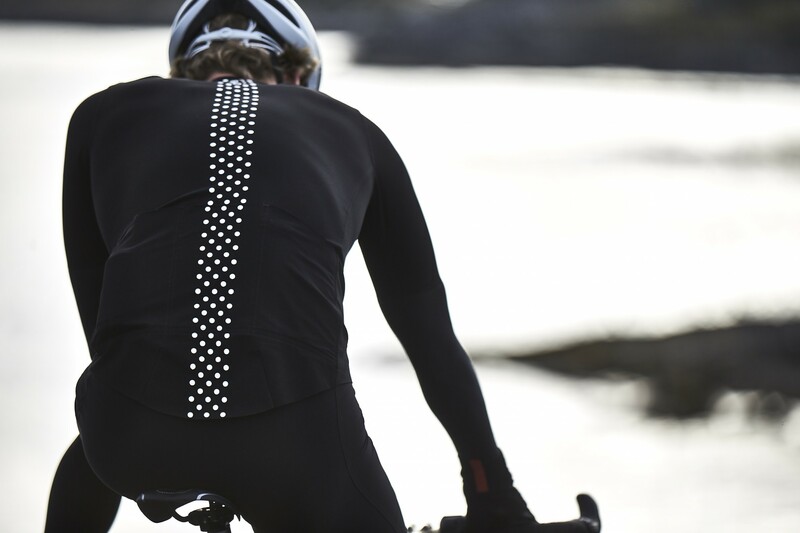 Given I only run and cycle, I find the clothing can be imperfect for both as a result. There isn’t quite enough room in the shorts for running, for example. Castore is also pretty expensive - £95 for a top, £245 for that jacket. You need to love the style for it to be worth it. Ashmei is aimed more at specific activities: running, cycling and triathlons. Yet it has the same issue of trying to use the same product across all activities. For example, Ashmei’s merino/carbon base layer is sold for both running and cycling. But I find the requirements of a base layer for each sport are rather different. Cycling can get away with a lot more merino, because the torso is relatively static; the key requirement is wind-resistance and retaining warmth. With running, the biggest requirement is breathability; the body heats up far more, and some runners will still be happiest in just a vest. As with Castore, there are some really nice styling and make points, however. The Mono-Hooded Sweatshirt is beautifully cut - close but with enough room to move, and with a hood that seems to fit tightly and comfortably to every shape of head. Ninja-like, as promised. It should also be said that Ashmei does some more sport-specific pieces, such as nice bib shorts and full tri-suits. It’s also rather cheaper - the Hooded Sweatshirt is £139. 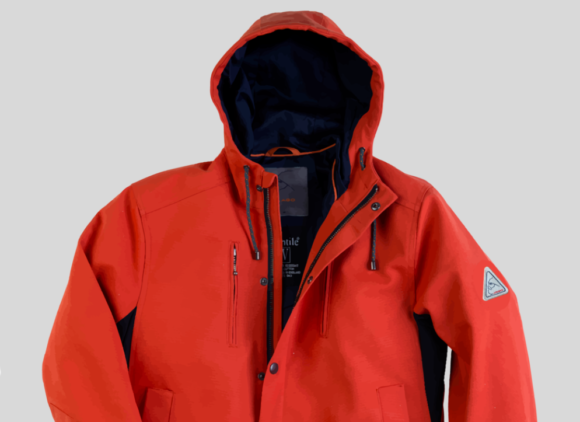 Jago was founded by a man (Alex Orr) who was heartbroken to lose a vintage climbing jacket of his father’s, which previously belonged to a friend of his - a well-known Swiss climber. Alex set out to recreate the jacket, and Jago is the result. It’s a nice story, but I was more attracted by the natural materials Alex had used - Ventile for the shell and cotton for the lining. A nice change to the synthetics you normally find in shell jackets (even if not quite as practical). The result is good, but with some minor issues. I tried the orange jacket (£465, above), and the feeling of the heavy, rugged Ventile on the outside is lovely. Pretty waterproof (when tried in the rain), very comfortable, and without the swish of a synthetic. Overall, it feels to me like a genuinely nice idea, but a prototype on the way to a fully fledged product. You can follow the discussion on Brand round-up: Lefren, Castore, Ashmei, Jago by entering your email address in the box below. You will then receive an email every time a new comment is added. These will also contain a link to a page where you can stop the alerts, and remove all of your related data from the site. Although I note all the products are at high price points . Is that much at average price points that you’ve sought out or recommended ? Or does not the level of quality exist there? This is the kind of quality level that Permanent Style normally operates at. You can certainly get cheaper examples of all these kinds of pieces, but the quality suffers. We are generally looking to get the finest examples of menswear and those involving greater craft – such as that hand-sewing on bags. Are you serious? Because I could name a dozen sportswear and outdoor equipment brands where quality is top-notch, and cheaper. Some of them even make their kit right here in Europe. You’re right on the leather bags, but not on the sportswear. Thanks. Obviously many different things go into an assessment of quality, aside from just the stitching coming apart or not, particularly with performance at different levels. Much easier with outdoor clothing than sportswear as well, given the relative consistency there with materials. I won’t get into the Europe question, as it’s something I’ve touched on many times. But in brief, there is no necessary connection there whatever with quality. Great to see that you have focussed on a couple of sports brands. I think the days of going for a run or to the gym in an old band t shirt and a your uni rugby shorts are long gone. I have an Ashmei long sleeve base layer and can’t really fault it, although I mostly wear Finistare ones. I haven’t tried their cycling range yet as I tend to go with Rapha. But I will definitely be checking out Castore. Running or gym wise I tend to go for Ifley road, although Tracksmith also interests me. I wear mostly Rapha too – been involved with them for a long time, always impressed with the way they develop. Running is mostly Iffley Road or Tracksmith too, with a bit of Nike here and there. Avid runner here….. Tracksmith are very, very good, especially their Greyboy T-shirts and their outerwear. I don’t wear anything else. Shoes are too important to mess around with when running though so go with what works for you! For running and gym I have been (reluctantly) impressed by lululemon’s mens range. Design, fit and materials are great. The shorts in particular deserve a special mention. Have tried castor/tracksmith but I find their branding too loud. Nike for its faults still produces some great training gear but at the price point I would go with other brands. I also really like the idea of outdoor voices but unfortunately their gear is nothing special – particularly at that price point. Simon, this made me think about an issue I have with bespoke tailored clothes. I like cycling and swimming, when I train hard my body shape changes significantly which means at one point or another some of my clothing doesnt fit me particularly well. In fact bespoke fits me less well than RTW as the tolerances are reduced. I therefore only visit for a fitting when I am at the weight and build I am usually at. Im aware thought that if I train everything fits large, if I go on holiday or take a break because of work trips its all ridiculously tight! Im not sure what to do about this. I have heard of some men keeping two wardrobes. One for when they are slimmer and one for when they go up in weight. It seems like a bit of a extravagant way to get around the problem. How do you deal with this? There’s no easy solution really, although bespoke should always be better – there would only be smaller tolerances if you had the suit fitting closer, and you don’t have to. In fact, the structure of bespoke means you could have some decent drape, for instance, and have more room with the same overall look. Bespoke will also always have more inlay to make alterations easier. Do you ski Simon? Or know of any brands? I have a few pieces from Trew Gear. Style-wise probably not what most PS readers are looking for but the gear is excellent, very thoughtfully designed, durable, and great value for proper 3-layer waterproof/breathable fabrics. If you’re after something a little more stylish maybe try Aether Apparel or Arc’teryx Veilance. I have no first-hand experience with either. I have one piece from Aether and wear Veilance. Both are good, though I have to say Veilance is rather over-priced – there’s a lot of margin there for design. For functionality try Norrøna, Sweet Protection, Flylow (very similar to TREW referred to above), Planks, Stellar Equipment and Dakine. 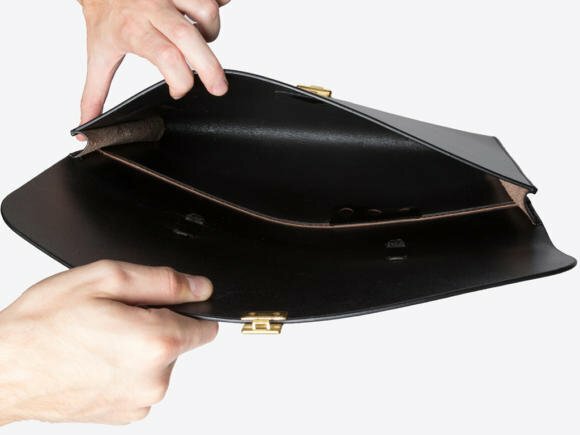 After recently parting with my wallet, unwillingly, I am looking to purchase a new one and have been reading through several of your posts for some pointers. I am looking for a slimmer wallet or a card holder with a budget of around £100 (ish). The offering from Lefren looks nice but your comments have made me think twice. Would you be able to suggest any other brands or specific products that are of good quality and finish, yet fall within my budget please? Look at Wingback London – start up which does slim leather wallets that are affordable. It sounds like you directly equate price with the finest quality Simon. This certainly isn’t always the case. As I have actually said in the reviews, Castore is a lot more expensive and clearly more cost has gone into design and marketing. Ashmei is £100 cheaper by comparison. And in the Lefren points, I specifically pick out what quality you get for your money, and which you don’t. What running shoes do you wear Simon? What about Techmerino for sportswear from Zegna? I’m in marathon training and have a young family, my life just does not give me the time for training kit I can’t tumble dry. I love the designs of ashmei and iffley road but you should not tumble dry either so I either keep an entirely separate pile which then does not get washed for a while, or it goes in with other clothes and there is a risk it won’t get separated before drying. Its this reason that pushes me at faster fashion brands lululemon (I agree with previous comment on their shorts) and nike. Hi Simon, I thought I’d post here as the Jago jacket has the closest similarities (although too short to cover a suit jacket) to what I’m needing. I’m after a very warm winter commutable coat to wear on the cold, rainy December, Jan, Feb days over my suit. Formality is not important as I will take off once in the office, but I want to stay as dry as possible – a Stone Island, Canada Goose type thing. Do you have a coat for a cold rainy London day like this or do you stick with an overcoat, hat, brolly? I tend to wear a rain coat with a line Richard in those cases. It’s usually warm enough. Simon, since you are on the topic of casual / leisure / active wear recently, whilst originally designed for snowboarding, I suggest you take a look at McNair merino mountain shirts. I received one in camel (heavy weight) this week and it is outstanding. It’s a bit lumberjacky and work wear looking, but very well put together and warm. They also do shirts in moleskin and corduroy, but I have no experience of them. I’m not associated with McNair at all. Firstly congratulations on the blog and running it into such a huge success that enables you to take it on full time. An excellent achievement, especially since you have kept it true to it’s purpose and have not given in to outside pressures for short-term wins. Chapeau! And on that note, I would highly recommend having a look at David Millar’s cycling brand CHPT3. On the face of it, it seems style over substance. However, I think it has both in spades! As an ex Rapha wearer, I am now a full convert. I highly recommend the Rocka Jacket (in outerspace or ivy) paired with your favourite arm warmers and merino jersey! Look forward to following the blog for the next few years. Can you recommend any good luxury tee-shirt brand?